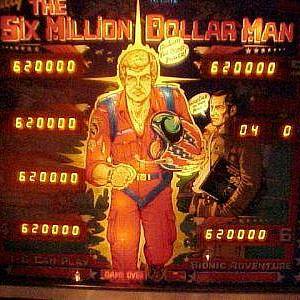 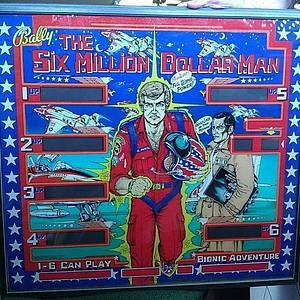 Bally’s Six Million Dollar Man is themed upon the American science fiction television series of the same name, which ran on the ABC network for five seasons between 1973 and 1978. 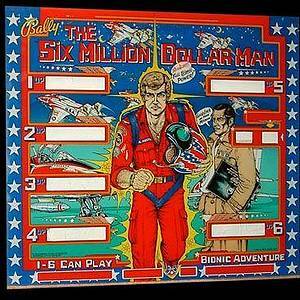 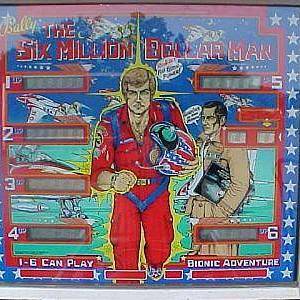 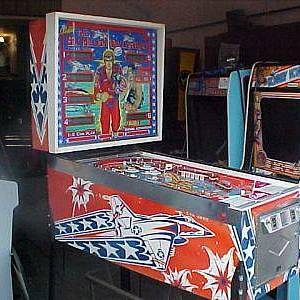 The show’s eponymous character, the “Bionic Man” Col. Steve Austin, is featured prominently on the backglass. 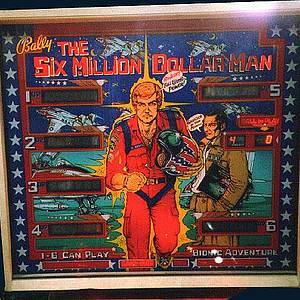 The game can accommodate up to six-players at a time—the first solid state game to do so. 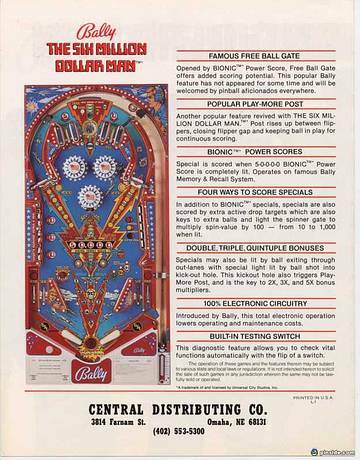 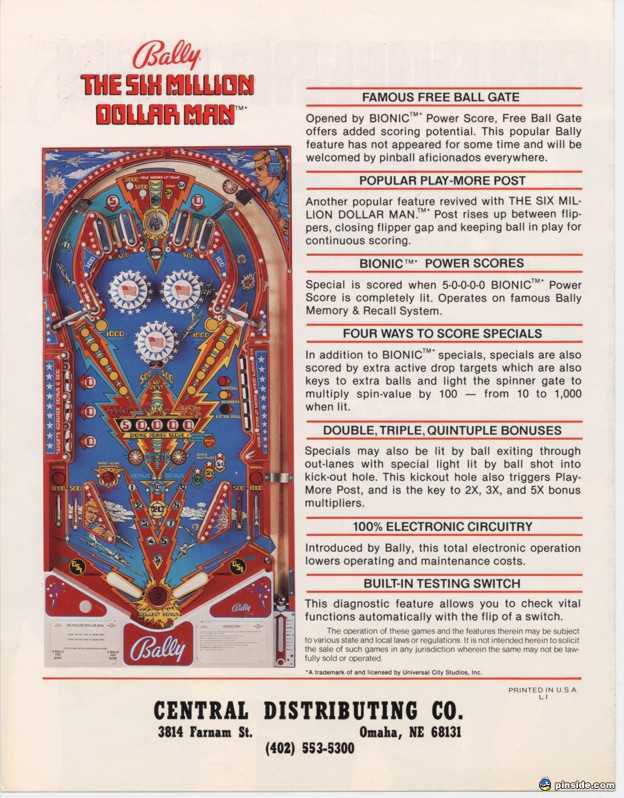 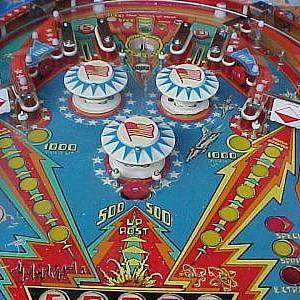 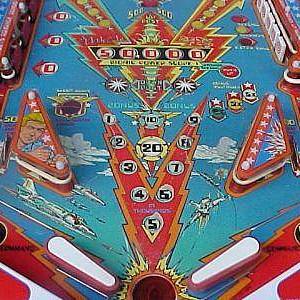 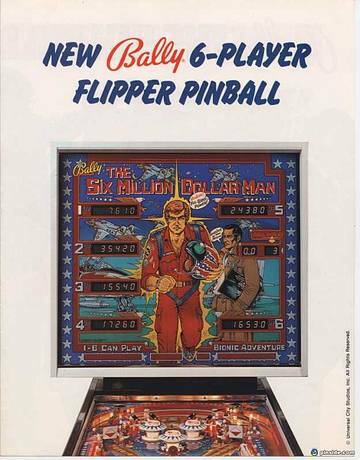 The game features two (ever-popular) Bally spinners, a bank of drop targets, a pop-up “Play-More” post, an outlane diverter gate, a kick-out hole and a 50,000 point bonus collected through stand-up targets and rollovers. 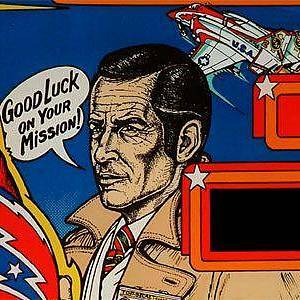 The Dave Christensen art package features some of the common themes found within his oeuvre: eagles, lightning bolts and muscular bodies set amongst a red, white and blue patriotic motif. 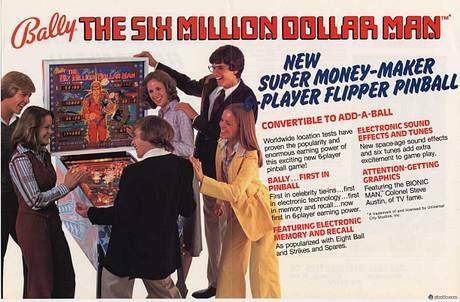 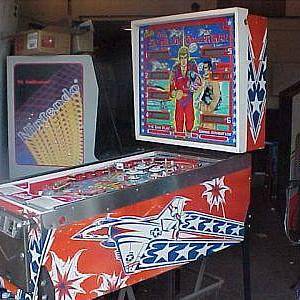 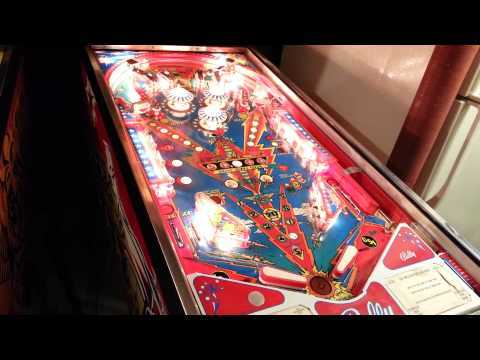 "New super money-maker player flipper pinball!" 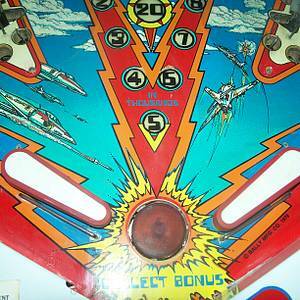 This game has received 31 approved Pinsider ratings and currently has a rating of 6.866 out of 10. 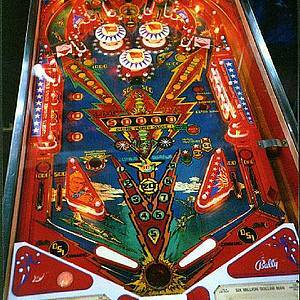 147 Pinsiders have this game in their collections.